Note: This is the first blog post of our Advent series. Every Sunday we will feature a reflection by one of our current or former volunteers. You can download the entire reflection guide here. Remember the good memories, learn from the bad ones, and laugh at the mistakes. My year as a JV was full of countless surprises. Living with just three other girls in a tiny apartment caused me to constantly ask the question – what have I gotten myself into? I was in no way prepared for the difficult challenges that my community would experience nor did I anticipate that those same challenges would make us stronger, that it would solidify our friendship. My community, these former strangers, had suddenly became my friends. We grew together as JVs, still laughing today at our various silly memories. They helped me to focus on the good on the days that I was struggling. They loved me when I needed it the most. We were all outsiders, moving to a new city, a tiny apartment, and four very different jobs that we were all very nervous to begin. As I look upon today’s reading I am reminded of hope, of the goodness of Christ’s return. The challenge is to focus upon that hope and to not let daily distractions get in the way of it. As a volunteer I felt that I was more susceptible to those distractions and without my community I would have fallen into that trap. During this Advent season, let’s set aside the frenzy that comes along with holidays and take time to focus on the loved ones around you. Today’s reading relates to community in terms of accountability. While we are waiting together for the second coming of Christ, we need to utilize each other so that we are not distracted from missing out on this miraculous event. Take a moment out of your day to acknowledge how you are feeling – is your heart heavy? When was the last time you took a moment to reflect with your community? Chances are if you are struggling, they might be too. Challenge yourself to join a new community, do something new. Volunteer for a local food bank, raise donations for newly arrived refugees, tutor at a local community center. Whatever service you choose, sit and be present with whomever you are serving. Just listen and serve. Step out of your comfort zone. Sometimes those new experiences are the most rewarding. Dear God, I pray for strength, patience, and balance for myself and those around me. Help me to not get lost in the trails and be my legs when they are weary. Open my eyes and my heart to the goodness around me. Help me remain steadfast and guide me back when I waver. Lord, thank you for being my light during the times when all I see is darkness. Thank you for loving me. Amen. 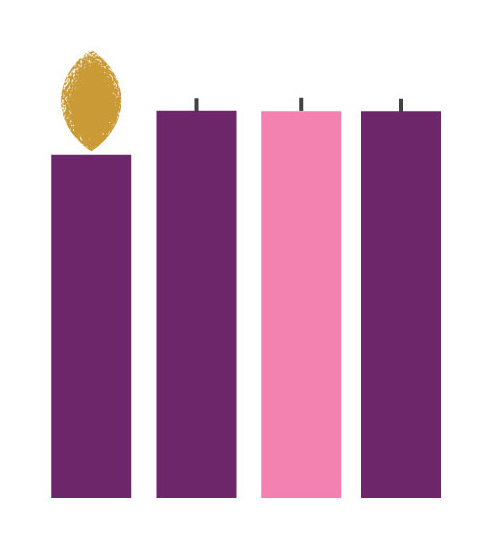 How are you utilizing this season of Advent to draw closer to your community? Advent: A Season of Service is a collaborative effort of Catholic Volunteer Network and the Catholic Apostolate Center.